In the latest version of Thrive Content Builder, we've updated one its most popular and versatile content elements. In today's video, we're taking a look at the new and improved feature that lets you easily create fully customizable post grids. In case you're wondering: yes, this works for creating custom lists of Apprentice lessons, pages or WooCommerce products. You can also apply custom fonts to your post grids, using the Font Manager feature. There's a video about the font manager here and also a knowledge base entry with detailed instructions on how to use it. 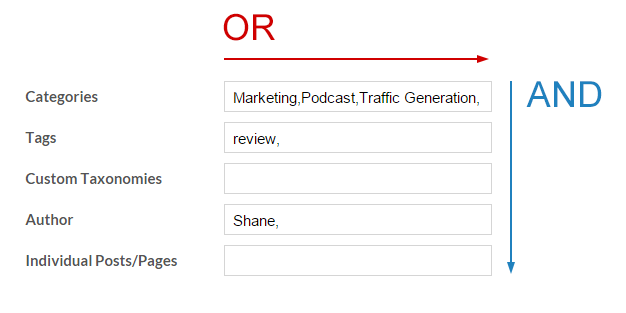 This combined filter translates to the following statement: "list all posts that are in any of the categories 'Marketing', 'Podcast' or 'Traffic Generation' (first line). From this selection, only show the posts that also have the 'review' tag (second line) and only show posts written by Shane (fourth line)." As you can see, this gives you incredibly granular control over exactly what you want to show in your lists. And once created, the lists will automatically update with any new content created that matches the criteria you selected. Brilliant! This was the one I’ve been waiting for – very cool. Amazing customization and query logic options. Thank you! Glad you like the new feature, Al! Fantastic! A very helpful feature with lots of customization which will replace my theme’s portfolio feature, soon. Could you please add also some simple filter buttons for a visitor to decide to show only posts of type A, B, C or all in the grid? Interesting suggestion. I’ll have a chat with the developers about this. That is a really cool suggestion, Klaus. Wonderful! Glad I’ve got my license, before you guys double the price for all these features. Thanks, Danno! Happy to know that you like the new feature. Glad you like it, Rob! Thanks, Asli! Glad you like the feature! Great to know that you’ve already got a use for this new element, Phil! Totally brilliant once again Shane. This is one tool that I am happy to recommend to everyone… and it just keeps getting better! That’s one of the purposes we created this for (more on this to follow in the near future). Your attention to detail and design options in this builder are incredible. Thrive Content Builder sets the bar for software developers. None better! Thank you for the high praise, Dennis! This is the best Christmas gift I have got – really thrilling – thank you – just what I had on my wish list. Great Shane! Each step of you and your team means more freedom, creativity and benefits for us. Thanks for that! is this Thrive stuff even legal? Thank you very much for this comment, Detlev! We’ll make sure you don’t suffer any withdrawal by keeping new features coming on a regular basis. I think this solves my problem with article series. The plugin I’m using now is ok, but it’s fiddly. Instead, I can create posts filtered to just contain various series. Cool beans. Good point, Johnn. I hadn’t even thought of that, but I remember looking for an article series plugin a while ago and not finding anything really suitable to my needs. Wonderful. And, how does it work with WooCommerce – whose SHOP page could be replaced with this if I am correct. Is that doable? That should work, yes. However, it won’t display add to cart buttons for the items listed. Awesome! Just what I was hoping for. This is going to be VERY useful. Thank you! Wow! This is just amazing, thank you Shane and your team. Loving using TCB. This is another brilliant addition to the coolest plugin on the planet! I’m in the process of building a static front page for a blog and was struggling with the CSS for what you call a “grid” view for posts and pages. Now I don’t need to bother trying to figure out how to get all the columns the same height. That’s great to know, thanks, Phil! :O Increíble! Jaja admiro su trabajo, es el mejor, no se imaginan lo como me ha funcionado. Felicitaciones, sigan nutriendo este gran editor. : O Awesome! Haha I admire his work, it is best not imagine it as it has worked. Congratulations, keep nurturing this great editor. Perhaps a feature from Thrive that would use the Google Translate API to allow a user to click a button and translate posts/pages/comments to the language of their choice would fix issues such as this one? In my opinion, Google Translate isn’t reliable enough for something like that. It’s okay for translating something and being able to decipher the approximate meaning from the translation, but that’s about it. Each email from you gets more and more exciting. TCB is going to make my new website look amazing!!!!! Wahoo!!! Thx to you and your team. Thank you for this comment, Susan! Christmas came early – thanks Shane and staff members. Happy Holidays and God bless. Thank you and likewise, Juan! Totally cool! Best custom posts display yet — I need this for a client right now. I’m running out of new words with which to compliment you guys — lol — nice problem to have! Now, what I want to know is how you made this content area extend upward over the video header? Is that peculiar to just Ignition or can it be done somehow in Squared? or is it a custom CSS addition? Whatever it is, it rivals the raw html designers and I love the idea of doing this with just WP! This is a post format, which is a native WordPress feature. However, the availability and design of the feature is dependent on the theme you use (and what we have here is custom built). Of our themes, FocusBlog, Squared, Voice, Performag and Pressive all support video posts as well, but the design is different depending on the theme. Here’s what the video post looks like in Squared. Awesome, this is my december present !! That exactly what I asked for some months ago. And you listened. Looking forward to transfer A LOT sites to Thrive. Thanks for adding your feature suggestions, Johnny! That’s the one I’ve been waiting (and lobbying) for! Glad we could deliver what you’ve been waiting for, Ernie! Great stuff Shane. It gives me some new ideas for my blog. Thanks. Glad you like the new addition, Joop! Wow ! You guys are amazing with what you add to your already fabtasic product. I really appreciate the work and care for your customers you do. This is going to make customizing a home page a joy. Every time I get an email from you its like Christmas or my birthday because I know it’s going to be a great gift as an upgrade or learning something new. Once again, you are developing tools that help me build my business and keep clients happy! SO happy to have Thrive Themes as a key tool in my toolbox. You continue to amaze! I really like this feature because sometimes on my home page – some posts are there that really don’t look so great on the home page and off the blog page:) with this feature I can choose, yes! Yes, that’s a great point. 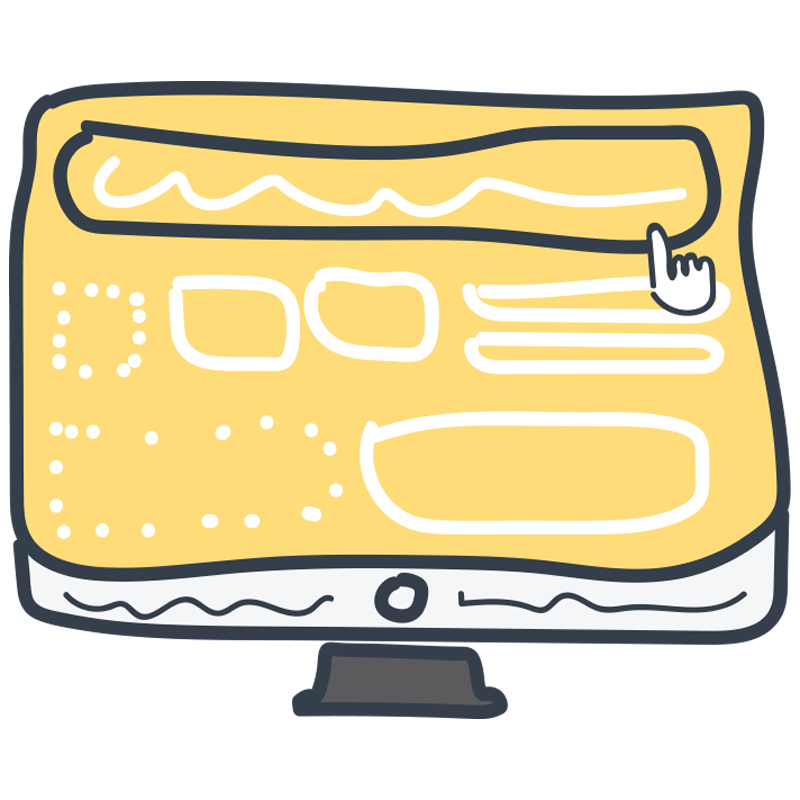 This is a great tool for showing the best side of your site on the homepage. Great job! Awesome addition. I’ve been wanting this type of functionality for a while. Keep up the great work. Outstanding! I’m glad you listen to user feedback. Thanks, Phil! We’re always interested in user feedback and suggestions. After all, the whole point here is to build the most useful products we can. Amazing Shane! I was working on implementing exactly this thing this evening. Mine didn’t look as good. :-) If you like I’ll send you the link once implemented. That’s great to know, David. Looking forward to seeing your result! How do I make the Title Text BOLD? I’ve tried and tried and can’t make this happen. Thank you. The easiest way is probably to create a custom font for the titles. Alternatively, you could add some custom CSS to the page to make the titles bold. If you post this in the support forum, someone can provide you with a snippet of CSS code you can copy and paste to make it happen. No sooner have I picked myself up from the floor from one update that I haven’t had time to implement, you release the next extraordinary enhancement to TCB. I’ve said it before but it needs repeating “I have NEVER, before had the privilege of being treated so fantastically well as a customer by any business.” It’s not the fact you are making these enhancements, it’s the fact that they are so well executed, so easy to use and above all are so appropriate. Far too many businesses add updates just to be seen as busy. This looks so great! Can’t wait to try it out and tell our customers that they really, really want this! That’s great to know, Saskia. Glad that we can provide something useful for your business. First off…great, great job as usual! From the beginning, I’ve been wanting to show on my static homepage my latest 3-4 posts, with the most recent shown a bit more prominently. For example, the latest post (along with an excerpt I’ve written for it) shown larger (perhaps full column), with the 3 posts previous to it (and their excerpts) shown smaller in a horizontal grid (all in the same row) underneath it. I’ve seen something like it done before on other sites, and am currently having to use the “Special Recent Posts PRO” plugin to get it done. It allows you to show your latest post automatically, and then use an “offset of 1” to show posts after the latest post beneath it. Your new custom post grid builder looks like it’s full of many options to customize your post display. Do you think it would allow someone to do something similar to what I’ve described above (i.e. automatically show the latest post, with a number of posts previous to the latest as well)? Again, great job, guys! The value you give is off-the-charts and I see NOTHING that compares to Thrive Themes anywhere else in the market. Thanks for this comment, David! I like the idea of being able to skip a number of posts. I’ve added this to our feature list, so hopefully we can implement this in the near future. This is a powerful feature to cut away a lot of footwork. As we often use WordPress excerpts as article teasers or product or portfolio… yeah, excerpts ;-), it would be even more powerful, if it would possible to choose “excerpt” as “Text Type”. Thank you for the suggestion, Marcel! I’ll add this to our list and see if we can add an option for excerpts. I really want to use this but something I’d need control over is to have a custom excerpt, not just the verbiage the plug in pulls… is that possible? Would the WordPress built-in excerpt field suit your needs, Christine. I use them as article teaser. I think custom excerpts would be a big advantage regarding conversion, don’t you think Shane? @Marcel… as long as that is available on the theme I want to use this on, that would likely work. I guess I have to look! In the past, it always seemed I had to add a plug in to enable the custom excerpt… thanks for the reminder to look for that. Thanks for the suggestion, Christine! Marcel suggested the same above and we’ll have a look with the developers about adding this option. Can your developers add 2 minor features to it? 2) Add the ability to set the maximum image width. I was experimenting with the height feature and it looks great on my PC. When I collapse the window down to ‘mobile’ size, the images get really big and wide, which looks a little off. The first point is one we can take into consideration. Concerning the second one, the image width is determined by the number of columns you set and/or the screen width. I don’t know how we’d make a nice design happen where the (responsive) width of the column is wider than the image inside it. This is a very nice feature Shane – thank you. I was interested to notice in the video that you had Podcasts available. You might be interested to know that when I searched on iTunes (the UK store) nothing showed up for imimpact or for Shane. I eventually located the pod cast by going to the website and following the link from there. But perhaps there is a way for the iTunes podcast to be indexed differently so that it’s easier to find? How about to show the paging ? I want to show six posts in two columns. Because my post is more than six posts, it should be shown in paging. I didn’t find any options to set this feature. We don’t plan to add pagination, but we’ve been discussing options to add infinite scrolling or a “load more posts” button that could be used to get more of the content that matches the same filter. What to say? I second all of the compliments that have already been posted. Every time you add a feature I can eliminate a plugin that I was using (or trying to use because they don’t always play nice). Thanks again and looking forward to what’s coming next!! Hey Shane, since the post title has already the optimized link phrase, what do you thing about an option to set the “Read more”-links in the grid on nofollow? I would be very surprised if something like that had any effect on a site at all. You’d have to ask someone who’s SEO knowledge is more current than mine, but to me, it would seem absolutely bizarre if a search engine couldn’t recognize “continue reading” links for what they are. Can you make it WooCommerce compatible? I am already able to select “product” as “Content to include” but the Filter-Options dont work with the product categories, tags or taxonomies. Today I tried Post Grid builder with pages. So when the post grid is up, all the text in the post grids starts with the custom menu. It does not look very nice. Is there a way to get around that? In the next update, you’ll be able to show manual excerpts as the “text” part of the post grid. That should work as a solution. I love the post-grid feature! I actually changed my editorial calendar to slip in “top posts for 2014” using the post-grid in early January. I would love to have the post grid feature allow me to display the posts in the order in which i input them, rather than by title, author, etc. Thanks for your comment! I’ve added the custom order as a suggestion for our developers. Shane – Great add on! The only problem I have is that if I display the whole post the paragraph breaks are removed. I have brought this up in the forum and it has been reported as a bug. Keep up the great work! TCB keeps getting better and better. Thanks, Monty! I hope we can get that fixed asap. Is it possible to make the number of posts 50 or more ? I am using this as a category page and would like to have no limit to the number of posts displayed on the page? We have an update planned that will make this possible. Hi!! great feature!! I wonder if it is possible to show some other related data such as Author, Date, Number of comments or any custom field added to the selected post type. At the moment I just see available “Featured image”, “title” and “Text” (excerpt). Is it possible? Currently, no other post fields are available in the post grid. We might extend this at some point in the future, but we have no specific plans for it yet. Could we have a way to just apply a layout we built to whatever is in categories, with built in paging? The grids are gorgeous, but on a busy blog, having to specifically build a page every time you fill one up is far more labor intensive than it should be. The layout in category pages is dictated by the theme you use. You can have a blog view that automatically populates with your latest posts by using one of our newer themes (e.g. Pressive) and choosing the “Masonry” blog layout. The post grid builder is meant for homepages and landing pages, where you want to link to some posts, but not as a replacement for blog pages or archive pages on your site. I wish we could edit the “read more” link vs. just have it or don’t have it. Especially for a WooCommerce product grid, having “read more” doesn’t make any sense, but I’ve also created post types for things like a page of meme’s / quotes to be shared out. I’d want the “read more” link to say “Share” so I can click them to that meme’s post page where there are some share buttons. Perhaps being able to add some kind of button, or custom bit of text instead of the “read more” I think would be ideal. For inspiration, check out how Visual Composer is doing their custom grid. I like Thrive a whole lot more than VC, but VC does let you have some control on what to show – especially over top of the post image. For example, I once built a post grid out of books that were on amazon. On mouseover, using VC, I was able to display a “Buy on Amazon” button. Speaking of Woo… I love (at least in the Minus theme) – what you’ve done for the shop layout. The post grid here for products is awesome! The “product details” button on mouseover, the add to cart button below… perfect. a little off topic there, but again I’d be able to make the product grid by category if the post grid creator had a little more to it… but keep it coming! I will def. say that when I used VC to try and create a horizontal layout… it was not easy to bang it into shape. Thanks for your comment, Jason! Since this feature is very popular with our users, you can expect us to keep improving it over time. We have a longer-term plan for this that will add more options and make it even more versatile for different uses like the ones you mentioned. Exactly what I needed. Ha ha, cool! Glad you like it, Marcin! Do you guys ever stop developing great functionality? Whenever I go into my wordpress dashboard there is an update from ThriveThemes with new features!! Do you guys ever stop developing great functionality? Can this be integrated with WPRobot4? The layout is very beautiful and would work perfectly for a magazine type theme! I have no idea what WPRobot does, but if it creates posts or any kind of post type, then you can use it with this. Love it! Can’t wait to use it Shane. Thanks so much. Thanks for your comment, Mary-Ellen. You are my hero. I lovelovelove the Thrive content builder anyway and with every new feature it gets even better! Thank you very much, Ronja! I like it, it looks great, this got me thinking about if I should use this for my category pages. Is it just me, or does all the sidebar links have the same links as the site I’m on, so now the link to this post is on all the links in the category section in the sidebar. Sorry, I don’t understand your question about the sidebar links. Do you mean on this website here, or on your own site? Hi, sorry for not being clear, yes it’s on this website, not matter what page I’m on, all the links in the sidebar under “Categories” are the same links as the page I’m on. Thank you for pointing this out! It’s a bug that we’ll get fixed. Thanks for your suggestions, Widmaer! I joined Thrive very recently, and I am truly astounded at the quality of the offering. This is another great facility. With some plugins, we have to decide whether the update is worth the hassle…NOT SO with Thrive Themes Plugins, Add-ons & Themes. I just can’t wait to what new awesome features I will be presented with. The post Grid Builder is testament to that. Great work, Great themes, Great Plugins, Great Value, Always easy to use, Just does what it says on the tin, brilliant. In fact I would go so far as to say I am happy, ney satisfied, well in fact gob smacked at the continued usability, especially when I employ tools like the Content Builder and Thrive Leads to non Thrive themes. Did I mention how happy I am that I found Thrive Themes, LOL! Here’s to many more great updates, keep em coming, best subscription I ever had. I second Paul Blacquiere’s request from December 19, 2014 for the ability to order pages or posts in the way they are entered into the field. Do you have any news on this feature yet? We’ve not been able to do anything about this request yet, unfortunately. A manual sort order only applies to manually entered posts, so it’s not quite as straight-forward to implement in a builder like this as one might imagine. Glad you like it, Johan! Love the Idea of the post grid. Unfortunately post created with TCB will not display in the TCB Post Grid. The header appears but no text. If I create a post using the WordPress Editor the test and header appear in the TCB Post Grid. I should be able to create a post in TCB and have it display in the TCB Post Grid. I was informed that this was a bug and that it should get fixed down the line. Yes, this is an issue we’ve not been able to address yet. You can use the WordPress excerpt field as a workaround for this, though. Excerpt is a default field in every WordPress post and you can paste in the first paragraph (or however much text you want to show in the grid) into that field and choose “excerpt” from the text display options in the post grid editor. Funny you should say that. I discovered that on my own and posted the directions in the forum last night. Anyway thanks for the response and keep up the great work. Thanks for your comment, Luana! Glad you love the new addition, Karim! I have been using this since it was first released and I have to say it is one of my favourite tools in Thrive Content Builder. You really do know how to deliver exceptional products. Congratulations and you deserve every bit of success that comes your way. Thanks so for much for the awesome update! Is there any way to make it so that the image scales proportionately? For example, if I have type within a featured image (like you might do for Pinterest), the type gets cut off when the image is scaled down on a mobile device, because the image is not being scaled down with the same ratio. Does that make sense? The way it works now, it seems that images used must be non-critical. For instance, I wouldn’t be able to show a logo for an image, because it’s likely it would get chopped off when the image was scaled down. But an image that was a shot of clouds would be fine because it’s likely that the chopped off areas on a mobile device would be non-critical to the image. Yes, that’s correct. It’s very difficult to get image scaling right for something like this. We could consider adding a “full image” option for the masonry layout, though. A question… I love the post grid feature (especially with the apparent fix of the bug that used to prevent multiple categories working properly). My question… If a post is created in TCB, its summary/teaser text does NOT appear in the Post Grid. I have to use the default WP editor to create my posts, if I want the text snippet to appear in the grid. Is that still true, or will Post Grid now display a post’s teaser/summary text even if the post is created in TCB? The problem with TCB content still persists, unfortunately. You can use the excerpt field in your posts, add the first paragraph in there and keep creating posts using TCB, as a workaround. Glad you like it, Martin! hi:) have to stay, even as a beginner, i am getting addicted to building my own “layouts” with the thrive editor builder, so much fun! BUT BUT BUT Do i have to worry of how “heavy/slow” i can make each page and the entire site? You’re right to worry about how fast or slow your pages are and I commend that. However, rest assured that the Content Builder won’t make your site slower than if you were using anything else to create your layouts. In fact, we obsess about keeping things light and fast, so if you build the same kind of layout with a different editor, chances are that the page would be slower than if you build it with TCB. Been using this feature quite often. Really like the way it’s been implemented so far. One option I’m missing though, is to disable the link altogether, because I’m using the Grid sometimes as just a visual element for custom post types which I din’t want to link to, but just display their content in the Grid. Thanks for the suggestion, Sven! Thanks for this great feature! Is there a way to have each element (post) on my grid to show a pop-up video rather than being redirected to its post url? Ideally, I’d like that each time my visitors click on an image/title in the grid a lightbox with a pop-up video is triggered (as if each element within the grid was an element on which I can use the event manager). The feature you are asking about is not available, I’m afraid. So will this replace my blog folder? The post grid isn’t meant to replace your blog page. The blog page has pagination and stuff like that, which the post grid doesn’t (yet). Hey Shane, do you know when this feature will be added to the postgrid? I too would like to add pagination like wp_navi to the end of the post grid. Wow. This element is amazing. Very easy o set up. I love Thrive Content Builder! i have notice this feature is very powerful, but i’m missing one option! It possible to exclude post by tags. Show all Post From Author X but only this with content marketing tag. Hello Regina – please post in our support forum https://www.thrivethemes.com/forums and our team will take care of it for you. Hey guys this feature is awesome! Any chance that it will be possible to include pages in the grid only with specific parent page? Thanks! Hi Shane, you wrote “yes, this works for creating custom lists of Apprentice lessons”. Can you explain this a bit deeper? Thank you. In the settings for your post grid, you can choose what should be displayed. This is in the “Edit Query” tab. In the options there, you will see a choice of every post type in use on your site, which includes post types created by 3rd-party plugins such as WooCommerce as well. You can choose to display the Apprentice lesson post type from there. It’s indeed a great funtion. I kind of struggle when trying to add products (woocommerce) of a single category to the grid. It does awesome if I don’t apply a filter to it, but when adding the filter it returns no results. I tried to use the url-slug as well as the normal title (there is a , in it – so I tried with ” ” too) Maybe I’ve missed how to set up correctly, any suggestions? Hi there. I’m using thrive content builder, and I used the above post grid to display all the posts, but I need to divide the posts into several pages. How can I achieve it? At this time, we don’t have a pagination feature yet. Love everything about thrive themes but i was wondering…Is it possible to add dynamic filtration to custom post grids. I am creating a Real Estate website and featuring properties that the broker is personally listing on blog post. Right now i have buttons leading to multiple pages with tag specific post grids on them. I would much rather have a single page and a post grid that would dynamically update with some type of filtration functionality…. If possible it may need custom developement. Can anyone say whether or not this would be possible and if so, do you have any recommended developers? Thank you for your feedback, Jeremy! There’s a project on our roadmap which will basically be a superpowered version of these post grids and it will include filtering. However, it’s quite some time before we will get around to starting on this project. Good to know Shane…I will be excited what that is developed. Any chance you can you provide me with a preferred third party developer? Or is that out of your scope? Thanks! Unfortunately, we don’t have a list of preferred or recommended developers. Sorry, I can’t help out with that. Any progress on making this work better with woocommerce? I was excited to find this feature, but then found that I’m unable to select products based on product tags and product categories. Even using the “Custom Taxonomy” filter doesn’t appear to work. It would be great to have the publication date available, I think this has been added as a requested feature… We want users to see when each post was published because some of our posts are news summaries. Would anyone else find this feature useful? Hi what is the start option for in edit query box? Is there a way to use post grid for a portfolio? I’m thinking … we choose pages instead of posts and then filter based on tags? So for example, under brochure portfolio, the viewer sees only brochure samples because we tagged those pages with a specific tag? And on website portfolio, they see only pages tagged with THAT tag? I bought the plugin and editing my whole website with it. Cool plugin. I have a question that how to add the popular post, recent post on the sidebar editing with the plugin. The way to get the recent and popular posts in the sidebar is through our themes, not the plugin. If you have a Thrive theme installed on your website, you’ll find them under your widgets menu. How to make the images of post grid mobile responsive. I made a post grid on my website’s blog page and the images are perfect on Desktop but not on mobile devices. What should I do? ho can i download this plugin? The grid function is part of Thrive Content Builder. This effect when point the mouseover…wow!! I’m just wondering, if Shane is a Co-Founder whos the other guy? Never heard him mentioned. Does he just live in a barn and code all day or what? He used to live in a barn and code all day. These days, since the company has grown considerably, we let him out occasionally. haha thanks for the response back guys. Pretty cool story how the company was founded, not sure why I didn’t read it before. Truly a perfect combination of marketing and technical experience. Love the Post Grid function! How do I enable a “load more” or pagination feature? We don’t have this feature yet, sorry. hello sir, have you added this feature yet? the pagination?? cause it would be very helpful if there is a pagination in the theme. We don’t have a pagination feature yet, no. Probably lazy-load more posts would be the easiest to implement, as that way we don’t have to worry about the url.com/blog/page-1 , page-2 etc? Any chance this is going to be added soon? If not/in the meantime, how are folks using this feature without there being a way to see more posts? Or is pagination dead? Nobody notices/cares? Maybe link people at the bottom of the recent posts to a search page so they can find what they are looking for vs. trying to find it page by page? Is it supported for all themes ? Thanks in advance. when the load more option will be available?